Thursday, September 17 from 7:00pm - 8:00pm we'll have a sign up event at Hugo Elementary School. We're also registering new scouts at Oneka Elementary School at the same time. These will be informal, "open house" style events to ask questions and sign up. 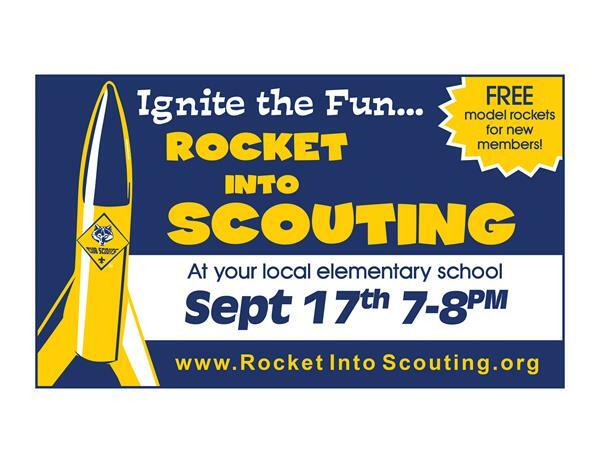 All boys who register with our Cub Scout Pack 151 that night will receive a free Cub Scout model rocket kit. He'll have the opportunity to launch that rocket at Fall Blast Off Day Camp. (See details below). On Sept. 17 please bring along your checkbook as we'll be collecting registration fees. New Cub Scouts should be prepared to pay $92 in membership fees plus the cost of a uniform. Now is a great time to start your son in Cub Scouts. The activities are fun and age-appropriate. Your son, along with the guidance of his adult parter (which can be a parent, guardian, grandparent, etc.) will have a great time together and be proud of all that he accomplishes. What are the joining details? I have specific questions, who should I contact? Email us at join.pack151@gmail.com for specifics. As new members of our pack, your son, his parents, grandparents, and other family members are invited to join us for a Day Camp experience called Fall Blast Off. Our pack is planning to attend Saturday, October 3, but other dates are also available. FREE for all adults and new Scouts. Siblings cost is $10/each. Although Fall Blast Off Day Camp is free for most, we will still need to register you. We'll follow up with you Sept. 17 about signing your family up. Pack 151 believes every Cub Scout should have the opportunity to experience the excitement of Cub Scouts and Cub Scout camping. A Campership is financial assistance awarded to a Cub Scout to allow him to join Cub Scouts or attend a Cub Scout camp program. Campership requests are processed with the highest degree of confidentiality possible. Prior to registering for a camp Outing, please contact the Pack Committee Chair Brandi Werra or Cubmaster Mark Viker for more information. Our Pack Committee has planned a great year and we hope you'll join us for the fun. 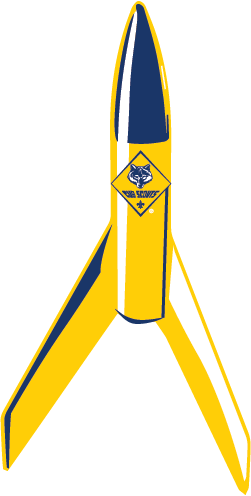 See you Sept. 17 as we rocket into scouting!